We’ve been to our favorite city a few times. When it’s your first time, you have many questions that just need a short answer. That’s what we’re trying to do for you on this page. We’ve tried to give you a list of some of the things that a new visitor would need to know, but it we’ve forgotten something, send us a question on our “Contact” page, or post to our FaceBook page and we’ll get back to you. 1) Hotel (Location, Location, Location) – When deciding where to stay, does your hotel’s location matter to you, or just price? Do you have any special needs to consider when making your reservation (inability to walk far, need a refrigerator for medicines, etc.)? Are you staying multiple days with access to a rental car, which will make location not as important? Decide on what part of Las Vegas you’d like to stay (Strip, Off Strip, or Downtown), address any special needs you have, and then get your best nightly rate. Be sure and sign up to receive e-mail specials for the properties you like, and then make your reservation. Also, if rates seem a bit high for the time period you're wanting to travel, check the Las Vegas Convention and Visitors Authority web page HERE and see what conventions are in town (just plug in your dates and go). A large convention guarantees high room rates for everyone. A monthly listing of conventions over 10,000 attendees can be found HERE. OK, now we know you've heard about the fabulous suites available to many high rollers, but might never get a chance to see, so click HERE to get a look at the "Anthology Collection" offered by Caesars. 2) Timing - What time of year you want to visit will also have an impact on what your trip will cost. July and August (the hottest times of the year) are less expensive than cooler times of the year. The block of time from just after Thanksgiving to Christmas is usually considered the least expensive time for hotel rates (just keep in mind that rates get really expensive around New Years Eve). 3) Book Early – The earlier you book, the better your deal. Some folks will book their rooms 6 months or more in advance. We were considering a room at a new hotel and as our travel dates got closer, the rate went from $55 to $115 in a matter of weeks. Rental car rates are another story, see the next tip. 4) Rental Car – The window for the best rental rate, we’ve found, is 60-90 days before your arrival. You may not need a rental for the full length of your trip, maybe only a portion. If you stay downtown, for example, and plan to go sightseeing, you can probably pay for a rental car for what all the cab rides would cost you, and it’s more convenient to have a rental car. If you’re renting a car for a short term, check with your hotel and see who has a rental desk there, and check that company’s rates online before you travel. You can also save on some of the fees associated with an airport rental when you rent from your hotel’s rental desk. Remember, unless you pay extra, you’ll have to return the car to the location it was rented from. We’ve not had a problem finding parking, if you’re concerned about that; most casinos have a large covered parking structure where parking is free, most all of them also offer a valet service. Tip your valet person a buck or so, and leave the parking to them. Don't prepay on your rental! As rates change, and a better deal comes along, reserve a car and cancel your older reservation. 5) Walking – You will walk more than you think! Make sure you have comfortable shoes that are “broken in” before you arrive. Casinos are built on a grand scale and are not as close as they appear to be. Before beginning your journey, refer to our “Getting Around” page to see if there are any connectors/trams/shuttles available to/from your hotel/destination to save time. 6) Hydrate – Las Vegas has single digit humidity most of the year and you will dehydrate faster than you think (you don’t even look like you’re sweating; it evaporates from your skin so fast). Always carry a bottle of water with you and drink from it frequently. Also, carry a lip balm with you as your lips will chap before you realize it (just don’t leave it in your vehicle). 7) Gaming Budgets – You don’t want to run out of money on the second day of a five day trip! So use some form of budgeting for your gaming money. Some folks put their daily allowance of gaming money in separate envelopes and anything left over at the end of the day is a “win”(to keep), or added to the remaining days to make a higher limit. 8) Dining Budget – The same discussion above can be said for your dining money. We’ve seen one steak restaurant where the cheapest steak was $75, plus $15 for a baked potato, and $10 for a salad, that’s $100/person BEFORE you have anything to drink. Decide how much you will spend and create a budget, and also, research Las Vegas for Beginners.net for money saving suggestions. Look at our “Eating Las Vegas” tab and find how to eat for "$20 - $30/Day", along with the “Dining Deals” and “Happy Hour Deals”. Also consider charging meals to the room. If you think you’ll get comped, why not get food and gift shop expenses comped also? 9) Coupons – We can’t tell you how many hundreds of dollars we’ve saved using coupons. If you’re a member of LasVegasAdvisor.com, use their MRB (Member Rewards Book). Also, check their coupon page if you’re a member and print new coupons before your trip. 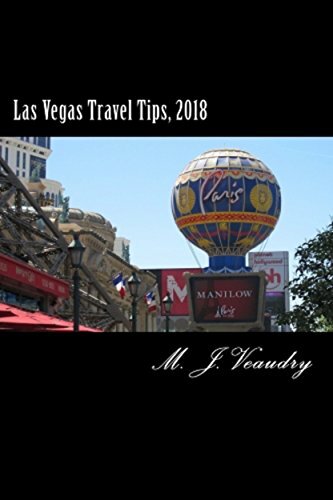 Get a copy of the Las Vegas Casino Guide (use our Amazon click-thru, please) and check their deals (you can go to their website to see the up-to-date list). Check around our website for links to coupons for places you plan to visit. If you’re over 50, check our 50+ Page for deals specific to your age group. Always check our money saving page before your trip to see what’s been added. 10) ABC & Walgreens are your friends – There are several ABC stores (a convenience store chain headquartered in Hawaii) that offer food, drink, liquor, and souvenirs at a very good price. You'll find them on the Strip, Fremont Street, Fashion Show Mall, Miracle Mile Shops, The Riviera, Tropicana Avenue, and the Showcase Mall. You can find a Google Map of their locations HERE. Also, there are several Walgreens and CVS drug stores up and down the strip to help you out with any medical supplies. The South Strip CVS has a Minute Clinic HERE. See other Las Vegas Minute Clinic locations HERE. They are also loaded down with trip safe trial size items. So if you happen to need toiletries for cheap, no problem. 11) Slow Down – This might be your first trip to Las Vegas, so experience everything you get a chance to see to the fullest. We see folks on every trip that run and run and run, and they’re not enjoying themselves. Remember, this is a GREAT city to visit with MANY things to see and do. So slow down and enjoy yourself. 12) Plan Early - Start making a list of what you missed and plan your next trip on the plane ride home. If you go to THIS PAGE, you can download and print maps to most of the Strip and Off-Strip Casino properties and many other locations. Hopefully, you won't get lost using this valuable asset. 13) Visitors Guides - LasVegas.com offers a free visitors guide that if you click on THIS LINK, you can view it on your computer. Or you can download it, they just ask for a little information. Grab it and give it a read. You'll find some useful information and some coupons to help save you some money. Tell them, LasVegasForBeginners.net sent you.